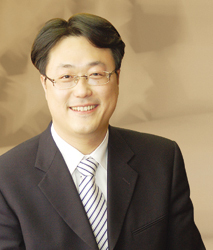 Mr. Park is the founder of the firm and has worked since the firm was incorporated in 2006. He is an immigration, personal injury, real estate and divorce attorney known throughout for his results driven approach. He has helped thousands of immigrants for their green cards and visas from all around the world since 2006 when he became a member of the American Immigration Lawyers Association. Also, he helped victims of personal injury, medical malpractice and wrongful death cases. He also represented sellers and buyers in real estate and business transactions. Further, he advocated parties in their hard times in divorce process. He obtained his J.D. degree from Wayne State University, Detroit, MI in 2005 and was admitted to the Illinois state bar. He received his BA from Korea University, Seoul, S. Korea in English Language and Literature.